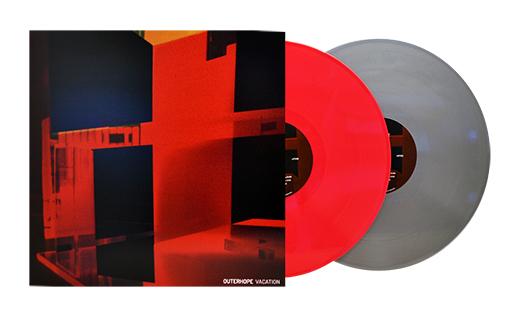 We’ve got a never ending stream of colored vinyl on our RECORD OF THE WEEK Blog!!! Hailing from Blackpool, England, BOSTON MANOR formed in 2013. Having signed to PURE NOISE RECORDS – BOSTON MANOR have previously released a full-length and an EP making “Welcome to the Neighbourhood” their second full length album. Inspired by Deftones, Nine Inch Nails, Tool and Failure, BOSTON MANOR’S latest album is a dynamic shift in the bands musical and lyrical focus than previous releases. 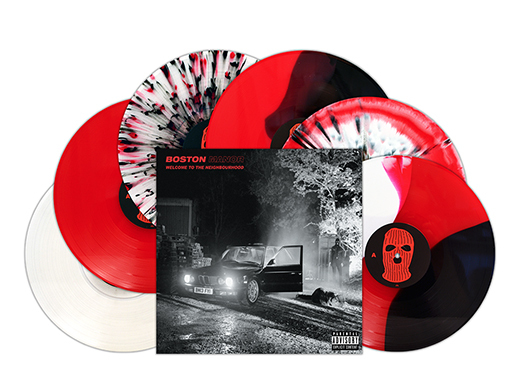 By using the band’s hometown of Blackpool, BOSTON MANOR grounds harrowing issues and worries into a physical, tangible location, which also serves as a metaphor for the larger themes and issues that inspired and which dominate these songs. A once booming vacation town, Blackpool is now riddled with high unemployment and drug use thus setting the backdrop in which “Welcome to the Neighbourhood” is sculpted after – the tumultuous state of the world and worries for both its future and the future of thier generation. Get you copy from PURE NOISE or from the band on their upcoming EU/UK tour! From Kansas City, Missouri, BUMMER are purveyors of supreme Heartland noise-rock, honed to perfection over the past several years through tours. Their new album “Holy Terror” is the band’s debut full-length and it finds the trio in peak form. BUMMER’S noise-rock falls on the sludgiest, ballsiest edge of the spectrum. Check them out on a midwest tour in September or grab a copy from LEARNING CURVE RECORDS! Established in Melbourne in 2010, OUTRIGHT has seen a number of line up changes but never wavered in their presence and impact. Hitting the ground running, they immediately released a four song demo and took to the stage. Armed with an unapologetic and determined approach, their debut EP Dedication was released on their own label REASON AND RAGE RECORDS in 2012. It captured the band’s live spirit and raw passion, and it sold out in weeks. After several more albums and countless tours, OUTRIGHT are back again taking their self-released “Holler” across all major cities for a dedicated headline launch tour from July to October. 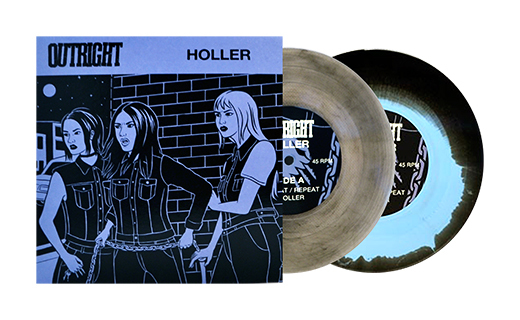 Backed by dynamic riffs, ferocious energy, and lyrics that deliver on the genre’s promise to inspire and engage, “Holler” delivers an evolved range in OUTRIGHT’S sound while still honoring the power in their foundation. The fury is raised up a notch. If you are in Australia, go see OUTRIGHT right now on their headlining tour! RIVERS OF NIHIL began their musical journey in 2009, and recorded their first EP, “Hierarchy”, with Carson Slovak at Atrium Audio in Pennsylvania. The Reading, PA quintet announced themselves as one of the most promising and forward-thinking metal bands in the world today with their first two releases. Part of a 4 season series – “Where Owls Know My Name” is the fall album – the winter record is yet to be written and recorded. Fans have been demanding vinyl for this album since its launch, and its finally been made available. “Owls” has been one of METAL BLADE’S most well-reviewed albums of 2018, and the three-year gap in between shows in how the band has developed after multiple tours and general growth as songwriters. RIVERS OF NIHIL start touring in September, but if you cant wait, hit up METAL BLADE RECORDS today! OUTERHOPE is a dream pop duo composed of siblings Micaela and Michael Benedicto. Formed in the summer of 2004, their sound drew from ambiguous recollections and shared references of early childhood in 1980s Manila. In recent years, they have taken a more electronic approach in composition and production, reintroducing their recurring themes of remembrance and loss. Their latest LP “Vacation”, their first U.S. release, is dedicated to the late future-fiction author Luis Katigbak, Micaela’s former partner. The record alternates between vocal and instrumental tracks, providing a shifting backdrop of scenes that suggest indefinite timelines, people suspended between the real and the imagined, and encounters that may or may not have occurred. Find out more at SHELFLIFE!